A confident and attractive smile is a great asset, whether you’re interviewing for your dream job, meeting a new client for the first time, or saying “cheese” for a family photo. Although our primary concern is your overall oral health, we haven’t forgotten the importance of having a smile that you’re proud to show off. Dr. Gotcher has an artistic eye and a passion for creating smiles that are as beautiful as they are healthy. The end goal of every treatment he provides is to design a smile that looks so natural, no one will ever know you weren’t born with it. When you smile, we don’t want people to notice your dental work—we want them to notice you. Traditional metal braces are the most common type of braces currently used in orthodontics. Although traditional braces get a bad rap, the techniques and materials have come a long way in recent years. These days, traditional braces are made of a light nickel-titanium blend, so they’re smaller, more comfortable, and more attractive. You can even change up the color of your ties at each follow-up appointment! Who says braces can’t be fun? Call our Lake Jackson dental office today to find out about braces! Crowns traditionally require two separate office visits: the first for preparation, and the second (sometimes one or two weeks later) for placement. Using the state-of-the-art CEREC® system, Dr. Gotcher is able to create and place natural-looking crowns in just ONE office visit! Even better, CEREC completely eliminates the need for plastic temporaries and mouthfuls of impression materials while waiting for your restorations to be made at a dental lab. You can get the treatment you need, then get back to your busy life! Call today to schedule your CEREC consultation and let us show you how fast, effective, and convenient dental care can be! It’s not uncommon for teeth to lose their luster as we age, especially for those of us who enjoy a daily cup of coffee or glass of red wine. If you’re ready to reclaim your vibrant smile, our take-home teeth whitening kits are just what you need. 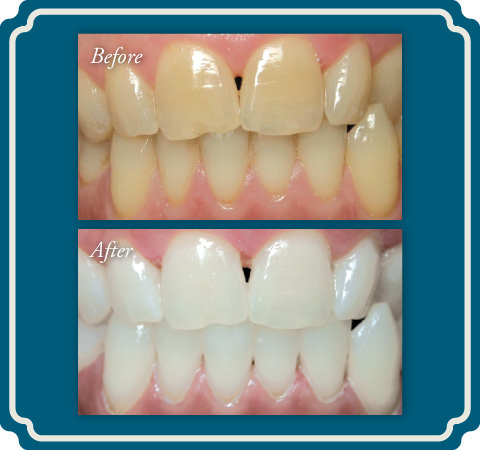 During your whitening visit, Dr. Gotcher will fit your custom trays to your teeth, then send you home with a supply of professional-strength whitening gel. Simply insert the gel into the trays, wear them as prescribed, and you’ll be showing off dramatically whiter teeth in no time! Tired of watching your smile fade away? Schedule an appointment today so we can get started on your custom take-home whitening kit! 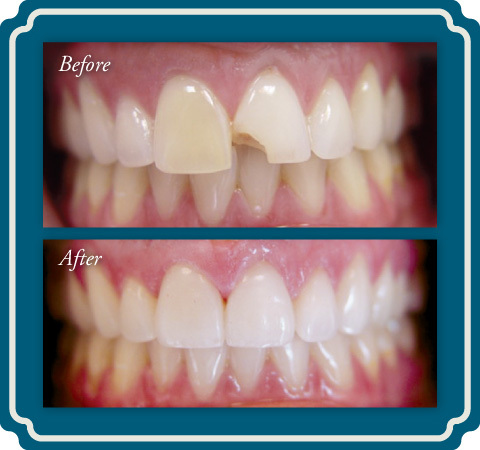 Do you cover your smile to hide teeth that are chipped, cracked, or too discolored for whitening? Veneers might be just what you need to reveal the confident smile you’ve been hiding! In as few as two visits to our Lake Jackson, TX dental office, veneers can change your teeth in virtually any way you desire. Veneers are thin ceramic shells that Dr. Gotcher bonds to the front side of your teeth to permanently improve their color, shape, and even size. In certain cases, veneers can even be used as an alternative to braces for teeth that are crooked, gapped, or crowded. Ask Dr. Gotcher if porcelain veneers can make the smile of your dreams a reality! When Dr. Gotcher needs to fill a cavity, he uses biocompatible materials that can be matched very closely to your other healthy teeth. Tooth-colored fillings are often faster and easier to place than traditional amalgam (silver) fillings, because they require less of your tooth to be shaved down. Although the main function of a filling is to restore the health of a tooth, it can make a big difference in the appearance of your smile, too!